English: Spotted-sided finch, chestnut-eared finch; French: Diamant mandarin; German: Zebrafink; Spanish: Pinzón Zebra. 3.9 in (10 cm). Sexually dimorphic; females lack the orange cheek patch and the white-spotted chestnut flanks found in adult males. Juveniles similar to females but have a dark bill. 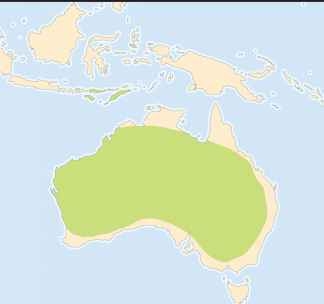 Throughout most of the interior of Australia and parts of Indonesia. Taeniopygia guttata I Resident marshes, cultivated areas and farmlands, orchards, and inhabited areas and gardens. Water can always be found nearby. A highly gregarious species, the zebra finch can be found in pairs or, more often, large flocks. The call is a "tya" or "tchee." The song, given by displaying males, is a mixture of trills and nasal notes. Feeds on the ground on a variety of grass seeds and shoots. The ability to go long periods without water (up to 513 days in one study) and the pigeon-like manner of drinking has allowed this species to survive long periods of drought. 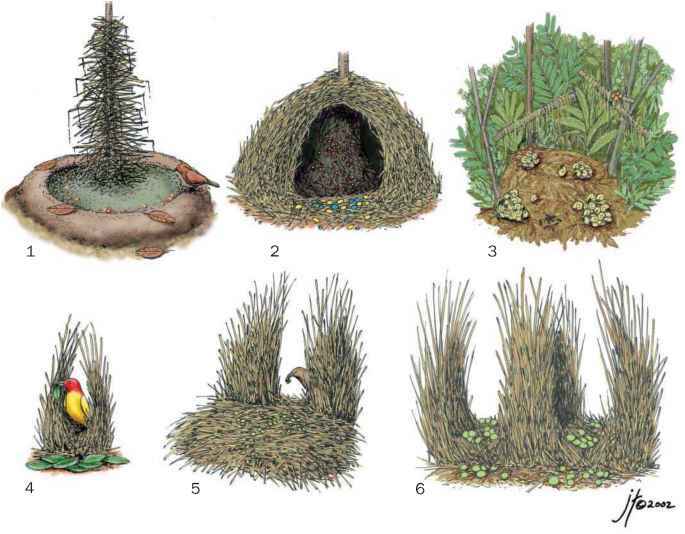 Round nests made of variable materials are either built new or made by renovating roosting nests or other species' nests. Three to eight white eggs are incubated for 11—15 days.